Mick was born in 1955 in Leicestershire, England. His interest in music was no surprise, as both his Father and Grandfather were accomplished musicians. At the age of six he was presented with a guitar as a Christmas gift and before long, as his Dad played the piano, he would strum along following the ‘four string’ chords that were always printed on the popular sheet music of the day. As Mick reached his teenage years, much to the dismay of his parents, he bought an electric guitar and along with some school friends spent the next few years trying hard to emulate the sounds of the modern rock bands of the time. After leaving school, he began his apprenticeship as an agricultural engineer and for some years his musical interests took a back seat. Then one day whilst driving to work he turned on the radio and heard “Earl” playing the five string banjo……….he just had to find out more about this amazing music. Even today Mick will tell you that “that day was a turning point in my life”. After a few months of research and buying up every Bluegrass album he could find, it turned out that just a couple of miles away from Mick’s home there was a young man who shared his interest in Bluegrass music. 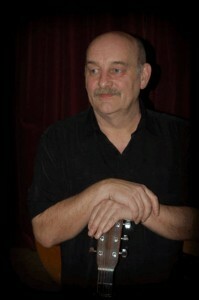 Alan Pearce was learning to play the five string banjo, and so together they began to play tunes on the Banjo and Guitar. 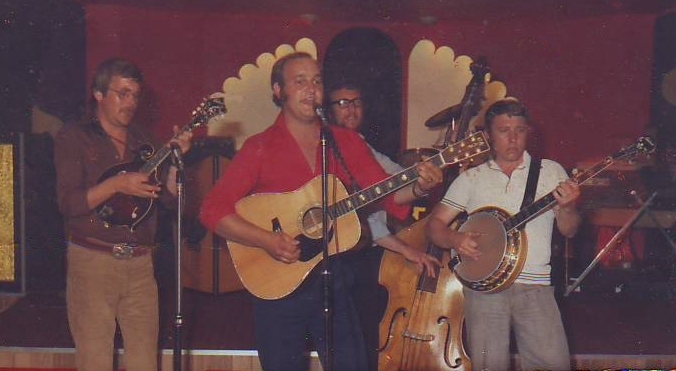 This eventually led to them joining up with two guys from Coventry and forming their first Bluegrass Band, “Country Life”. Alan took his playing very seriously and is now considered by many to be one of the country’s “Better Players”. Mick went on to play in various line up’s including, “East of the Sun” and the very successful “Quicksilver Country Band”. During his time with” East of the Sun” Mick turned his hand to playing the upright Bass. One night whilst standing in on Bass with a local country band, he arrived at the venue to find that Pete Parker and Jim Irvine were also helping out with the show. At the end of the night Mick was asked along to a Down County Boys rehearsal for a “try out”. That was in 1989 and Mick is still the lead singer and Bass player with the DCB’s twenty eight years later. Well known for his Rock solid timing, strong vocals and entertaining style, along with a wonderful sense of humour, Mick plays a vital roll within the DCB line up.